Learn more about the Savings and Bank Life Insurance Company. If you are seeking a review about this company then you’ve come to the right place. We will tell you everything you need to know if you’re buying a policy with this company. 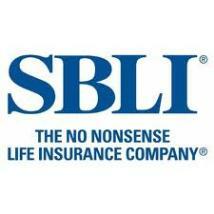 Savings Bank Life Insurance Company (also known simply as SBLI) was founded in Massachusetts in 1907 and has a long and venerable history as a life insurance provider. The company sells its products in 45 states and the District of Columbia. This company has assets worth over 2.1 billion dollars and has its Head Office located in Woburn, Massachusetts. How Does Savings Bank Life Insurance Company Rate? The financial solidity of any insurance company is an important piece of information to know when you are researching any life insurance company. It’s ranking by the rating agencies is indicative in how financially sound the company is considered and how well it will perform in the future. A company which is financially strong has the ability to not only pay its claims but also shows that it will be around for the long haul. A life insurance policy, whether it be a term life policy or a whole policy is a long term investment. How does Savings Bank Life Insurance Company Rate? Here are the results. All in all, this company has a very solid financial ranking which means that it is financially sound and stable. How Does Savings Bank Life Insurance Premium Rates Compare with Other Life Insurance Companies? To find out how well SBLI ranked, I did some research and found some sample quotes. I discovered that Savings Bank Life Insurance Company came up regularly as a very affordable company for anyone buying a Term Life insurance policy.